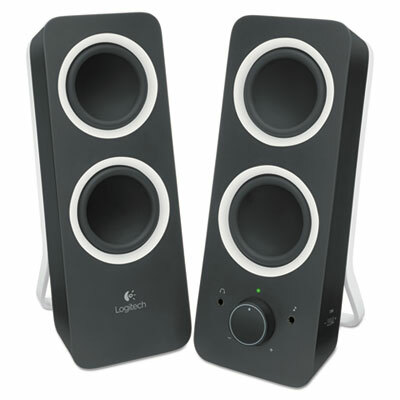 For rich stereo sound with deep bass?for any living space?there's the Logitech® Z200 multimedia 2.0 stereo speakers. With 10 watts of peak power and two drivers per satellite, these modern-looking multimedia speakers pump out enough volume to fill any room with rich, balanced stereo sound plus added deep bass. You can adjust the bass to your taste thanks to a dedicated control wheel. Two audio inputs make it a snap to plug in your smartphone, tablet, or laptop—or even two of them at the same time. Whether you’re listening to music in your bedroom, kitchen or living room, these perfectly tuned speakers add bold style and sound to any space. Global Product Type: Speakers Cable Length: 5 9/10"